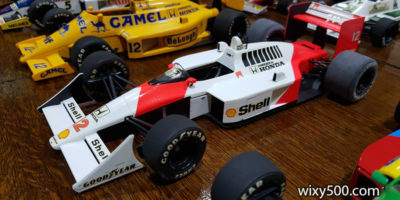 This is the first time this car has been modeled in 1:18 and should prove to be very popular. 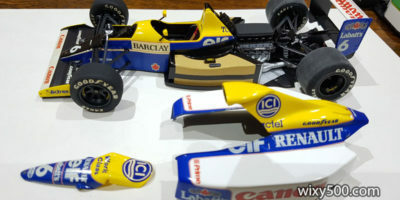 In fact, even though I’m not a 1:18 collector, there’s a real chance this one might end up in my display cabinet! I also hope Spark will do a 1:43 version. Minichamps has already modeled it in 1:43 (pretty much all in plastic, not diecast), but it’s not a particularly great model in my opinion. It was made with removable bodywork which, when fitted, just doesn’t look right. Pretty much all of the kit companies (Tameo, Western, SRC, Hi-Fi etc) have done this car in varying degrees of quality. 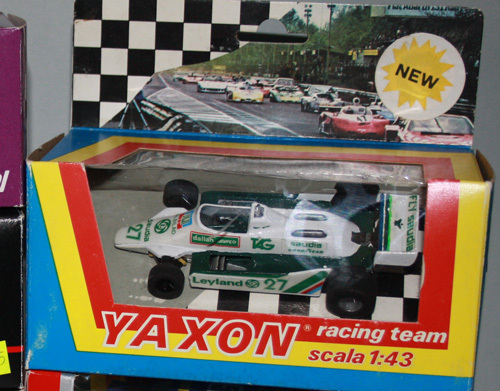 Toy companies such as Polistil and Yaxon have also had a crack at it and Scalextric did a (pretty decent for the time) slot car in 1/32 scale. Minichamps #430800027. Ride height has too much of a nose-up attitude. 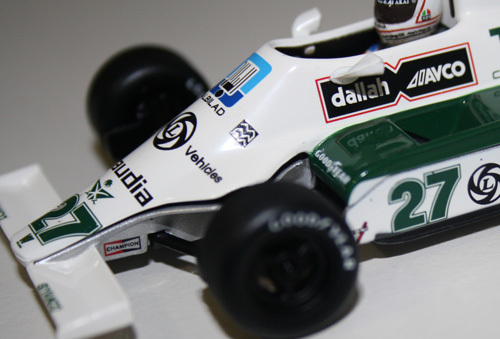 The side skirts on the ground effect cars of the era went all the way to the ground, not stuck up in the air like on this model. Lift-off top body cowling is a poor fit and leaves terrible gaps when placed on the model. Note to 1:43 model manufacturers: leave the lift off body panels to the kit constructors! Paint and decoration is, for the most part, very good.